At the end of 2015 I was feeling deeply in need of spark and vision. Living in this restoration project has worn me thin. I found that it was eating up all of the time I spent on my passions. It has kept me from going full force into anything. Then, I stumbled onto this little dream guide on Instagram. (Jennie Allen runs If Gathering here in Austin.) I looked at it for a minute and I wanted to get it. Now, let me tell you, I am not into flighty big dream schemes. I usually balk at stuff like this. There was something different here though. This guide allowed you to reflect and challenge yourself. There were several categories to evaluate your 2015 in. This gave you the opportunity to see where you would like to change in the coming year. Now. I do stuff. Most people would tell you that I am crazily doing stuff. The problem in my heart was that I lived among such chaos that I couldn't focus on the dreams God had planted in my heart. What are the dreams God has planted in your heart? * I want to teach my girls and play with them well. *I want to minister to widows, orphans, the afflicted. So. Step One. I drew out our house. As you can see, I wrote out every single little nit-picking thing that I could think of that needs to be done in this house. Instead of waiting for someone to do all of the work with me, I mentally went through there and asked myself what I could do. Then, I started throwing all of my resources at it. Since the beginning of the year, I have redone a floor, painted 400 sf of wood walls, taped, floated, and textured 2,000 sf of wall space and begun painting it. When I am done, I hope to move into another passion. God has opened some precious doors for me to make jewelry with scripture on it for homeless women in Houston. It's something I lived through for a time and it is such a gift to remind women of how much God thinks of them when they feel rejected by everything. I just want to say thank you. Thank you for supporting my dreams. Thank you for giving and buying things so that I can keep counseling for free and advocating for the orphan, the widow, and the afflicted. There would be no dream without you. Keep shopping. Love y'all. My eight-year-old has a list for everything. She has one list that consists of possible candidates to consider for marriage in 2025. I asked her the reasoning behind each of her selections. When I asked about Wilson, she said, "Well, Mama, Wilson is just a really nice boy." After Denbigh shot this video, I showed it to her. She gave me a hundred dollars from her savings and said she wanted to help Wilson and his birth mom. By helping, you could be giving to my future son-in-law. Christy, Wilson's birth mom started telling me that Wilson had this desire to go to Haiti and see his birth mom. He wanted to hug her, take her food, and help his brother go to school. Christy decided be brave and try to come up with the money to take him and all of his adopted brothers and sisters to meet Wilson's birth family. Wilson's mom was unable to provide for him after his dad died. 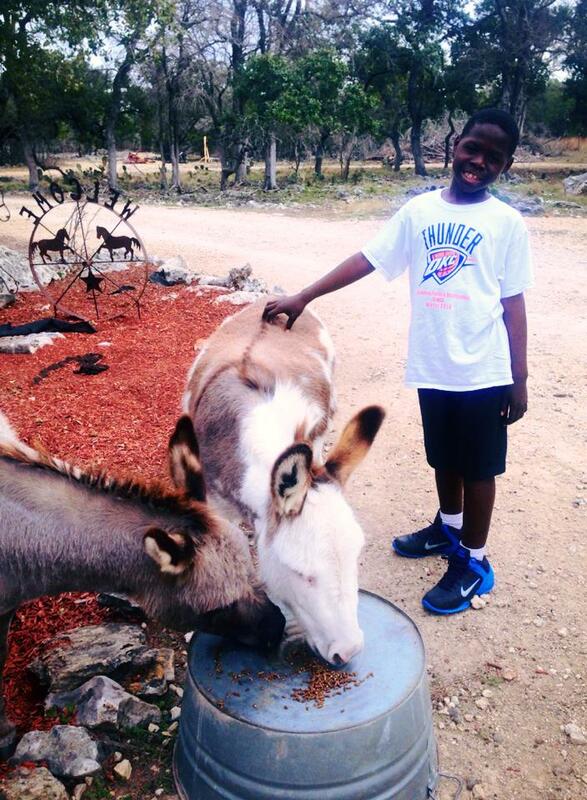 Instead of selling him into slavery, she was brave and took him to the orphanage. She told Christy that she thought Wilson was a special boy who would do great things. Here he is a few short years later trying to. Please watch this video and support Wilson's dream. Shop my Etsy shop thegospelmom.com as well. I am giving part of the profits to benefit Wilson's dream. Click here to view Wilson's Go Fund Me. https://www.gofundme.com/wilsonguenther If you are interested in making a larger tax-deductible donation, you can do so at TeemHaiti. In this video, The Jesus Storybook Bible is referred to as the children's book that adults are reading. I can attest to that for myself. I fell head over heels in love with it. I would find myself getting teary reading it to my girls. When I discovered the amazing audio, we were locked in to listening to it all of the time. It is some of the most beautifully inspired poetic wording inspired by the Bible. It is gorgeous. I have been reading the children's version for years. Even so, when I saw the cover and title, it drew me in. As I began reading it as this repackaged book for me, it became even more powerful. Those words washed over me in ways I cannot describe. Healing came. Love was felt. It became so tangible. Thank you, Sally. We needed a storybook for us grown-ups who realize we are still God's child. We are safely in His care. It's beautiful. Please read it for yourself. 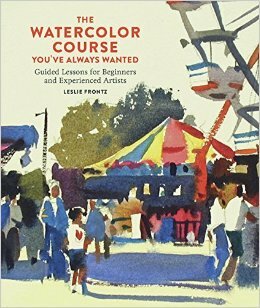 I have been wanting to learn more about watercolor and am thrilled to have this book. There are many basic steps that I did not know. It is difficult for me in this stage of life to go to a class, so this is a perfect guide. It tells the simple aspects of what supplies to buy and how to stretch paper all the way to how to set a mood on your project. The artwork and easy to understand directives are well written. I am looking forward to investing in my art this year using this book. This book was graciously given for review by Crown Publishing.